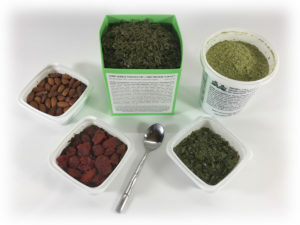 Kit includes Original Hemp Hearts that should be used some mornings with raw vegetables to guarantee perfect digestive health. 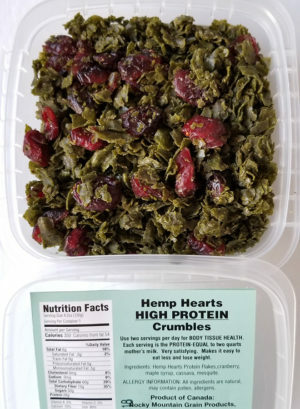 Kit also includes Hemp Hearts Protein Flakes that should usually be used twice each day with raw vegetables for sufficient protein to restore elasticity to hardened blood vessels. 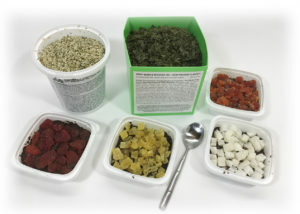 Kit also includes some Square Meal Desserts (made with Flakes and 18 choices of toppings) that should be used occasionally when an exciting food choice is desired. 1 lb Original Hemp Hearts (2 oz servings should be used with vegetables several times each week as required for digestive health). 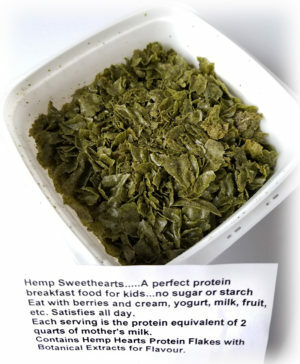 1 lb Hemp Hearts Protein Flakes (2 oz servings should be used twice daily, most days, for Body Tissue Health). 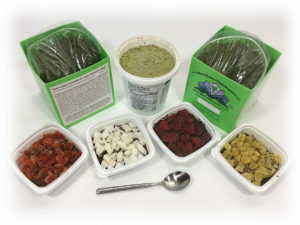 4 Square Meal Desserts (can be used to replace the meals above when more exciting meals are desired. 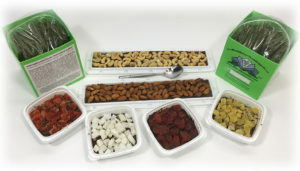 NOTE: If you don’t specify your custom toppings, by default we send no-dairy chocolate bars with 2 of each topping. 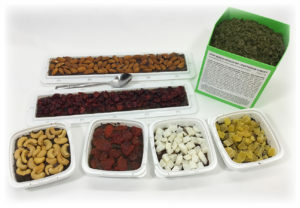 You can request custom selection of toppings. If not specified, we send one of each. Walnut, Almond, Hazelnut, Pecan, Cashew, Brazil Nut, Macadamia, Nut, Coconut. 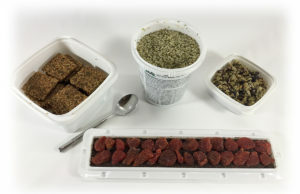 20 metric ton containers of fresh, great tasting Hemp Hearts TM ( shelled hemp seeds) for $119,000 CAD delivered. Canadian Shelled Hemp Seeds… 40 foot ocean containers… Delivered total $119,000 CAD for 20 metric ton in 20x 1 metric ton poly lined bulk bags on pallets… delivered to port Korea… Payment 50% with order after receipt of sample …. 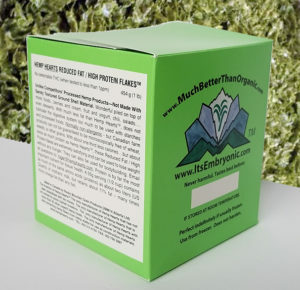 50% after e-mail of phytosanitary, THC test and shipping documents. 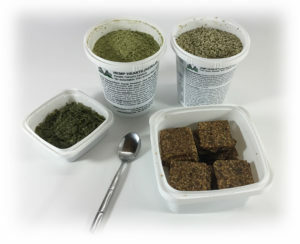 20 metric tons of fresh, great tasting Hemp Hearts TM ( shelled hemp seeds) for $110,000 USD delivered. 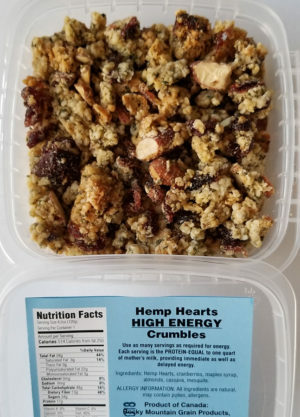 Hemp Hearts TM ©2019. Shopper Designed by ShopperWP.